The times they are a-changing. Not long ago, you needed a massive toolset to create easy social media images. But today? All it takes is the right tool and your laptop to make beautiful designs on the go! So why use online graphic tools for your business? There's so many reasons: Photoshop is a nightmare if you’re a novice user. You won’t have to spend a lot of time figuring out how to use them. They are a low-cost alternative to professional graphic design tools. And that's just a few! So let's get started. 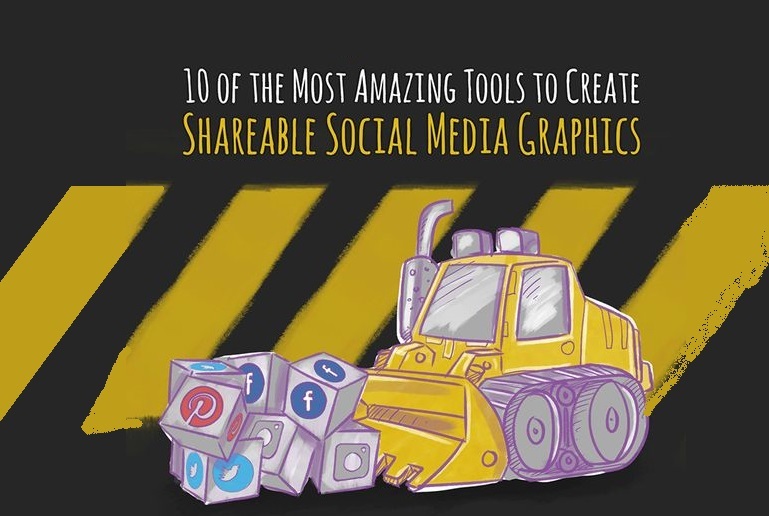 In this infographic, You got some of the best tools on the market for creating shareable social media graphics.